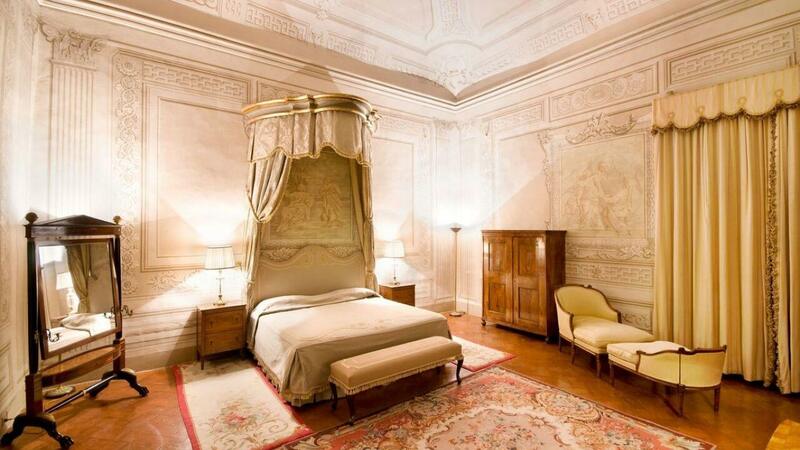 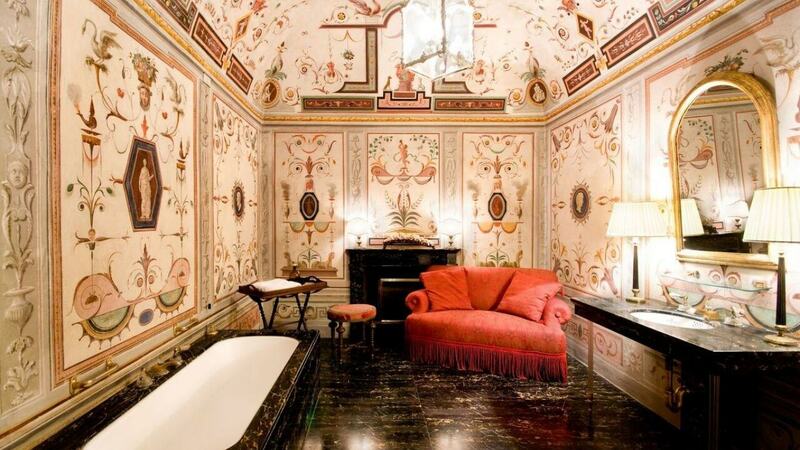 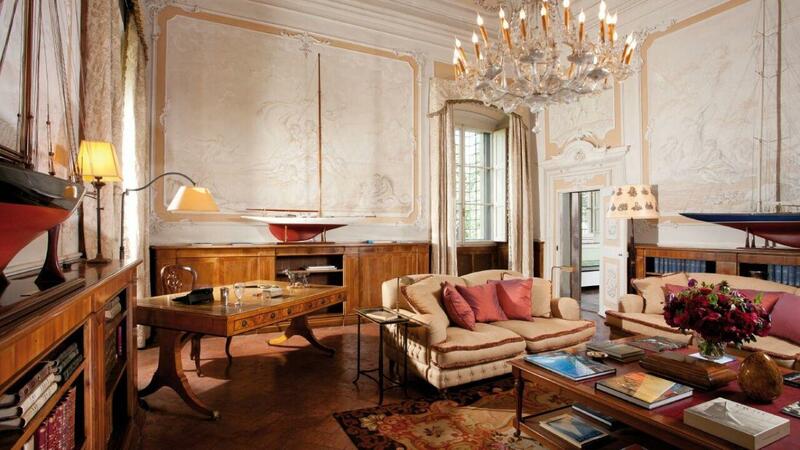 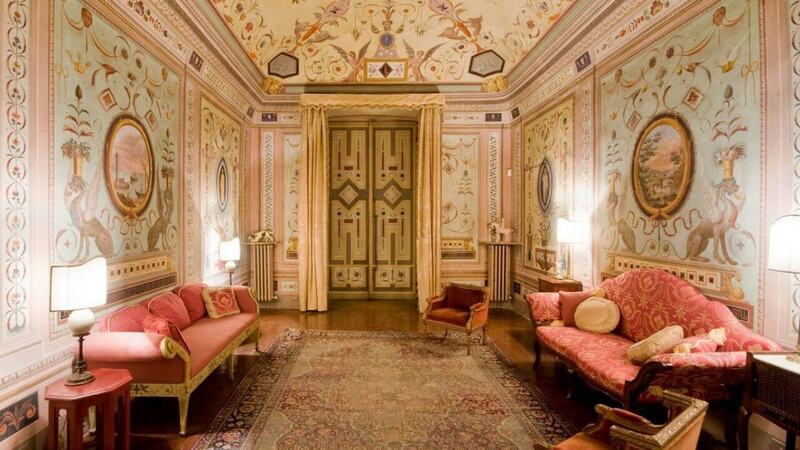 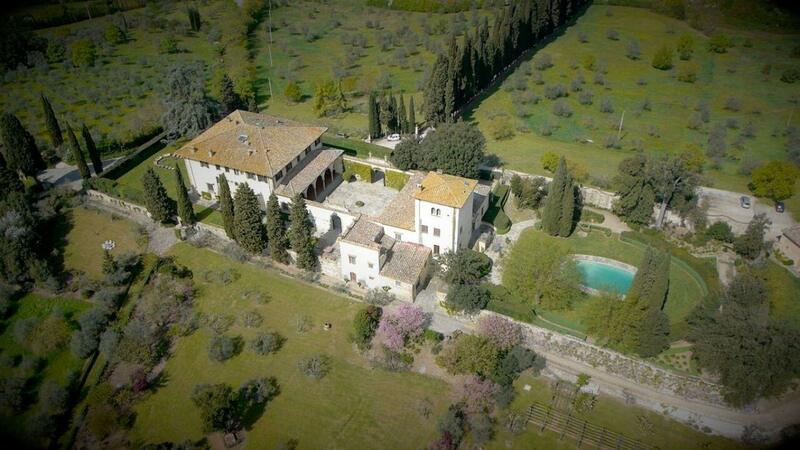 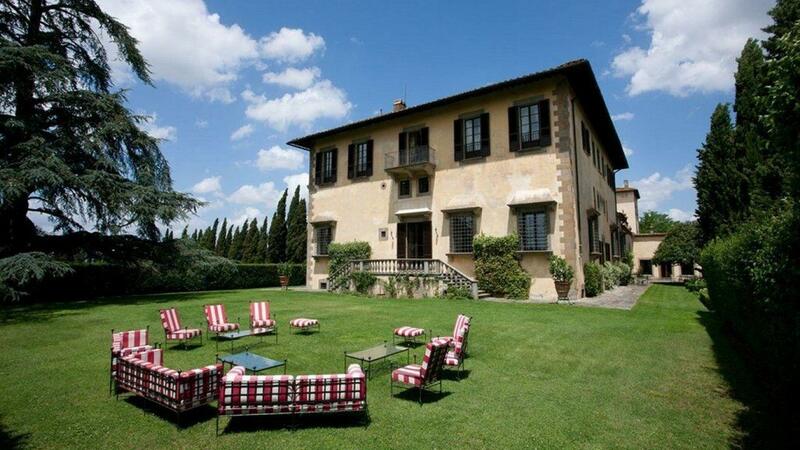 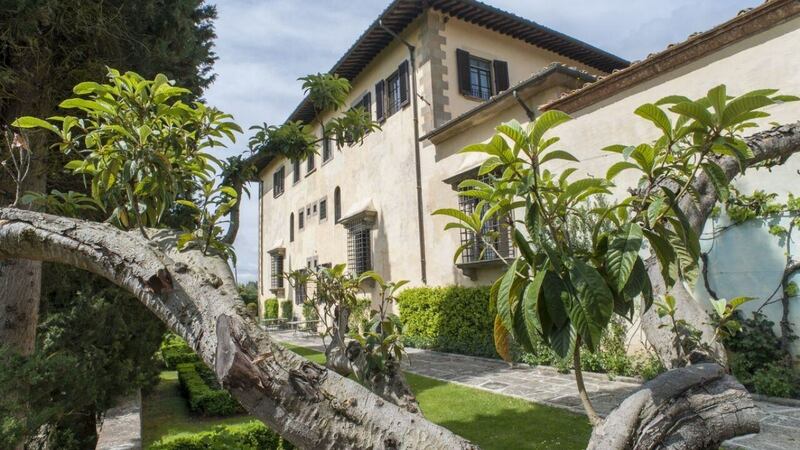 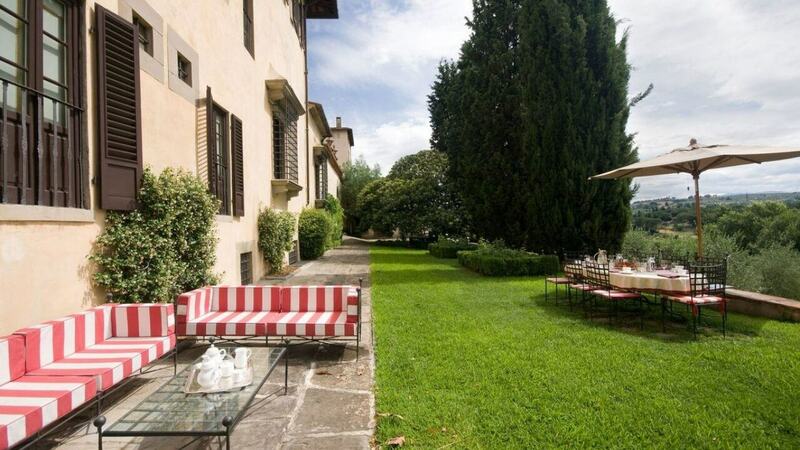 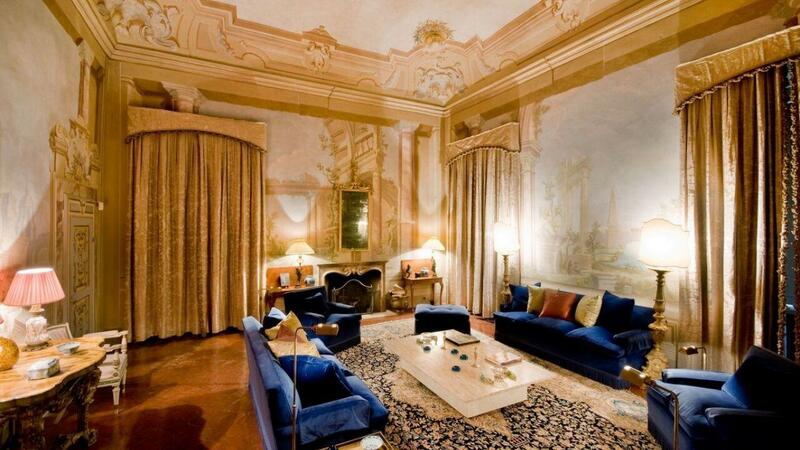 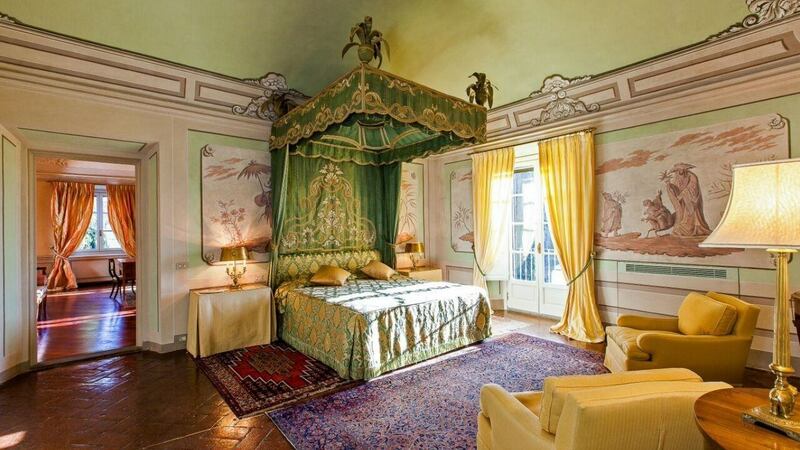 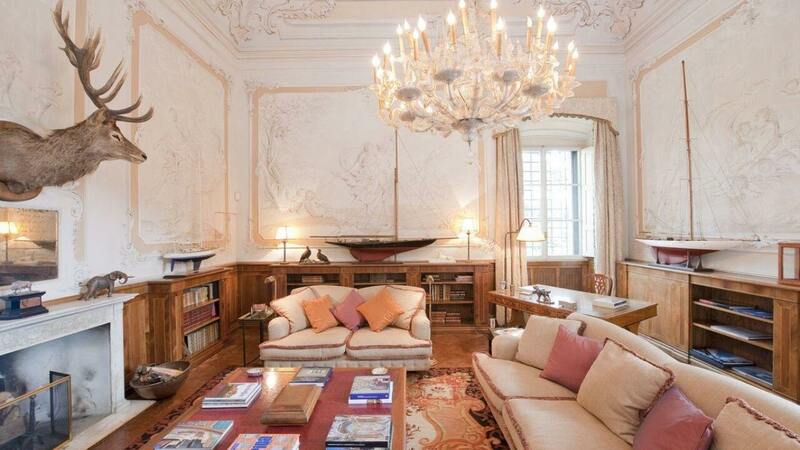 Villa Henrietta is a stunningly restored 15th century house which has become one of the most luxurious properties for rent in Florence and Tuscany. 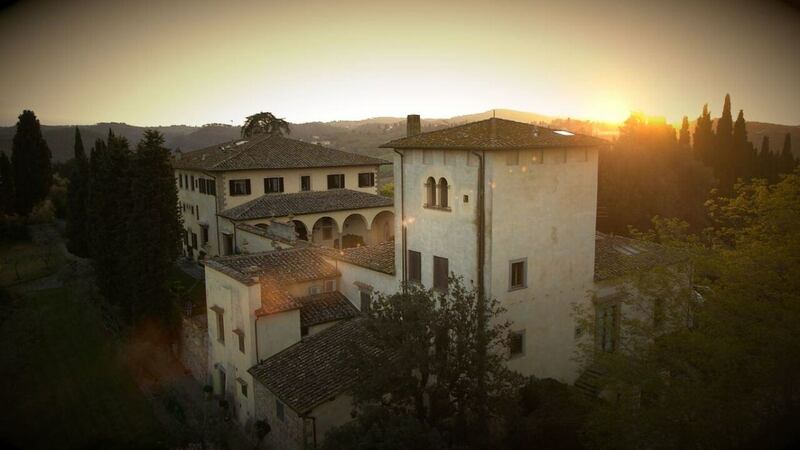 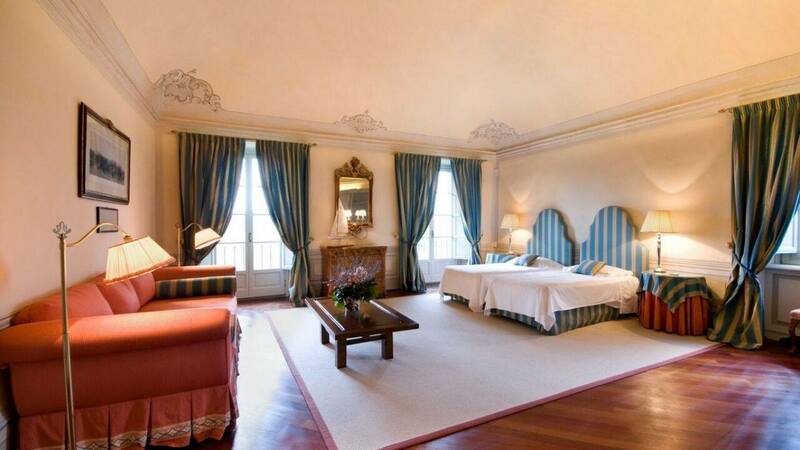 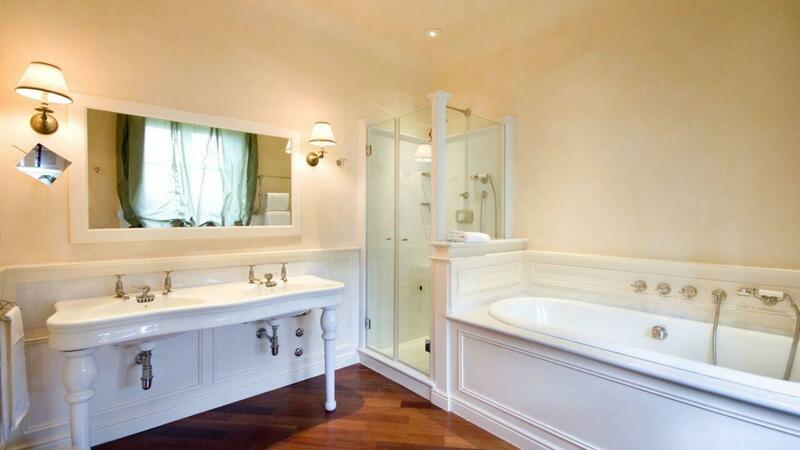 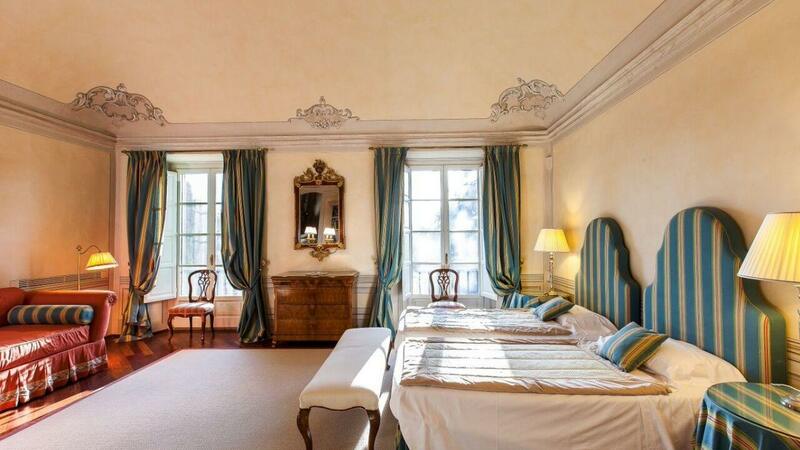 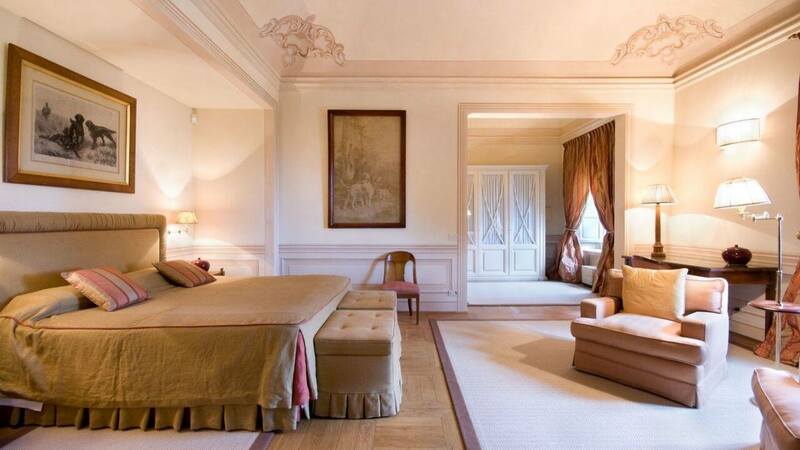 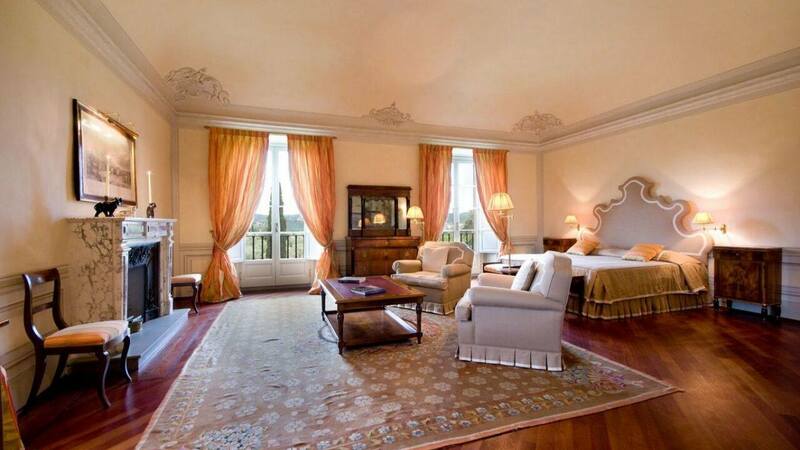 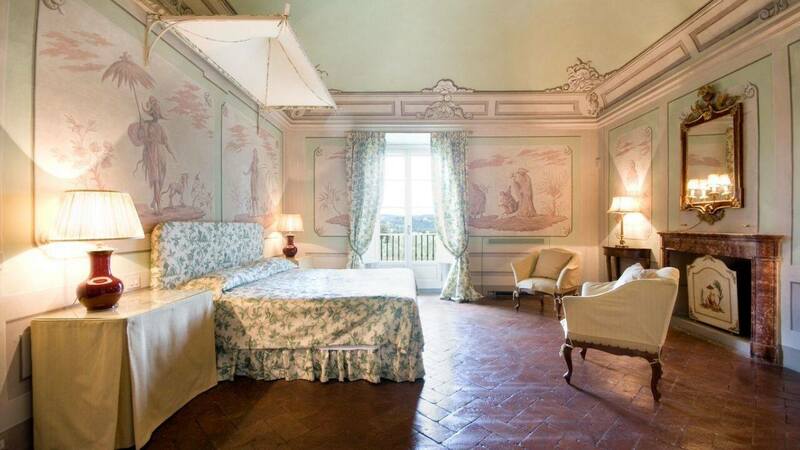 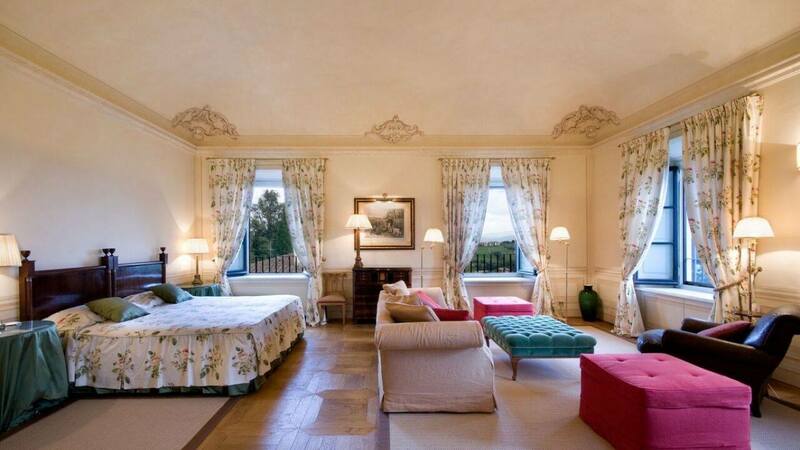 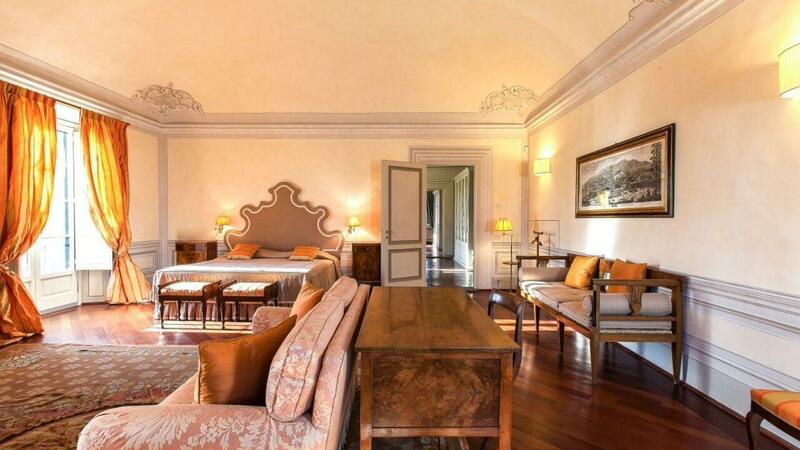 Situated in the hills above Florence, Villa Henrietta is a deluxe six bedroom villa that offers a bespoke experience filled with indulgence and romance in a classical Renaissance style. 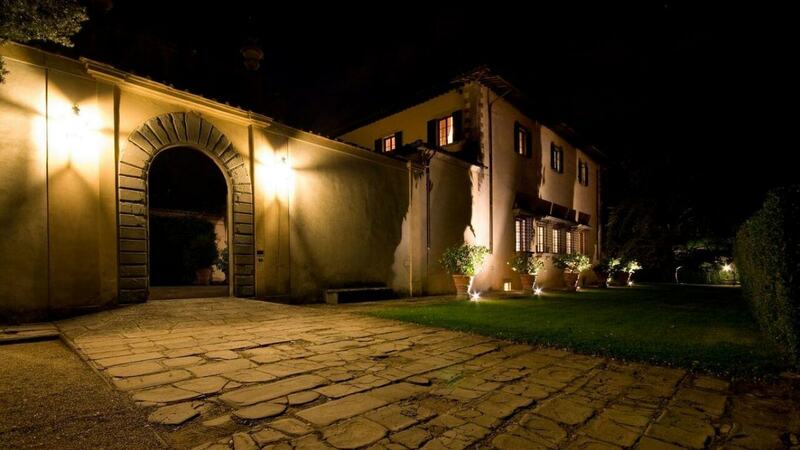 The villa has an area of about 400 sqm and it is built over three floors maintaining the typical layout of aristocrat villas. 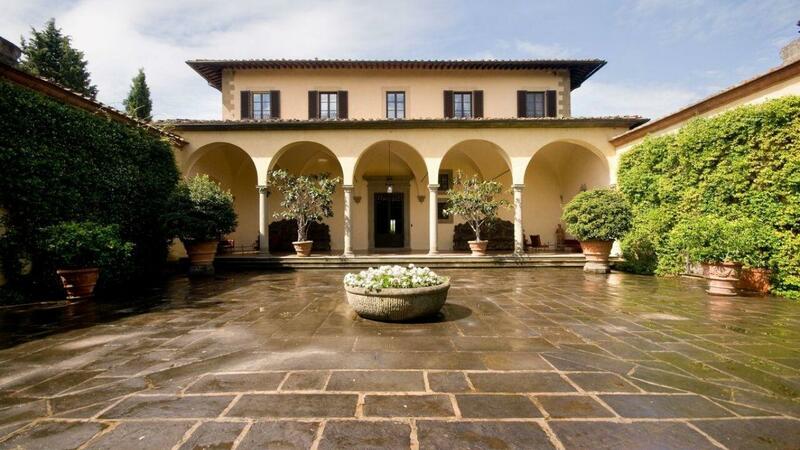 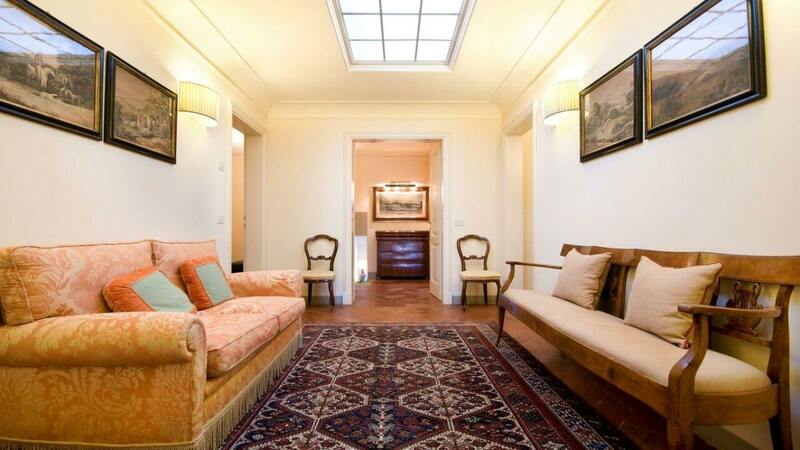 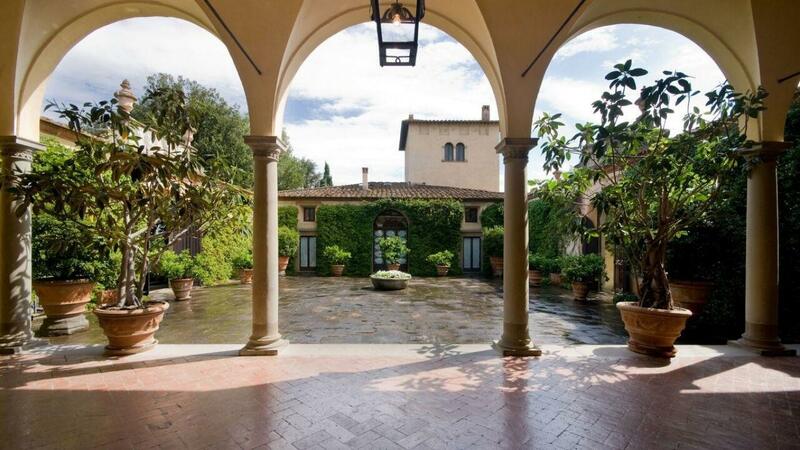 It is centered around a paved courtyard and the entrance is situated under a charming arched loggia. 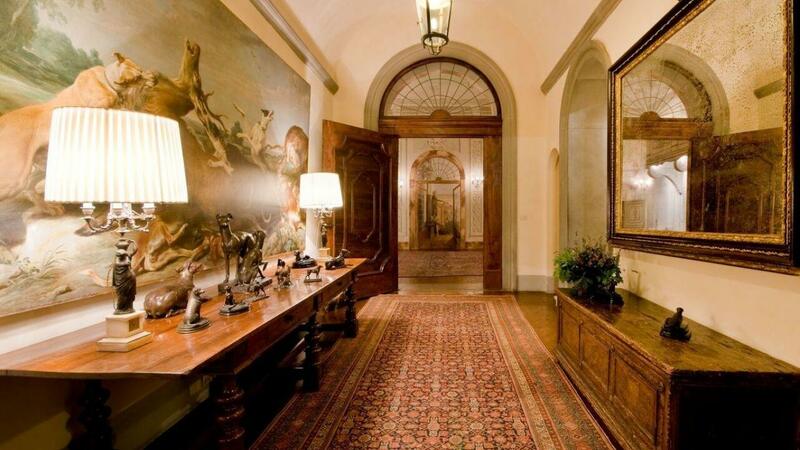 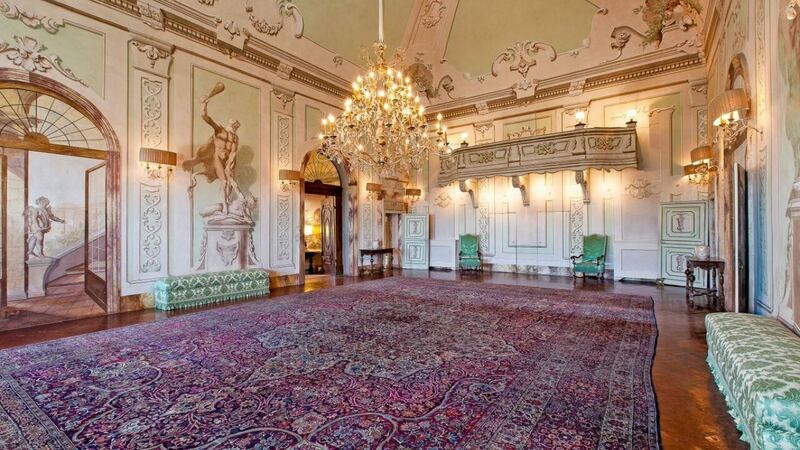 The ground floor boasts a large living room with frescoed walls, an impressive 18th century ballroom with a grand piano and splendid chandeliers. 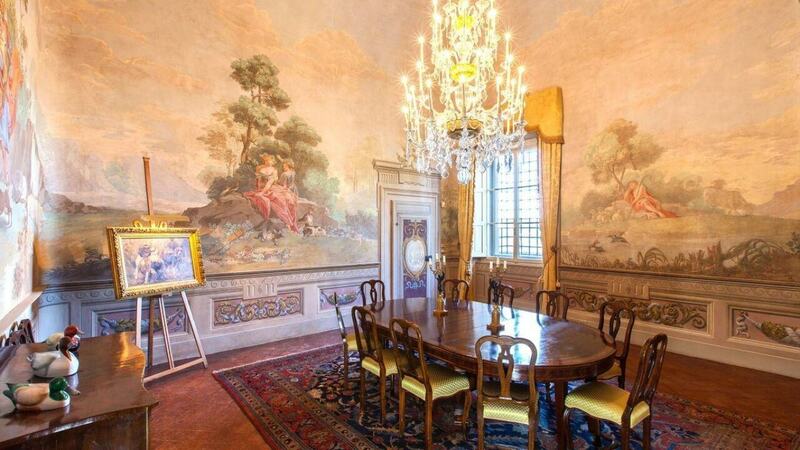 The sumptuous dining room can seat up to 20 guests. 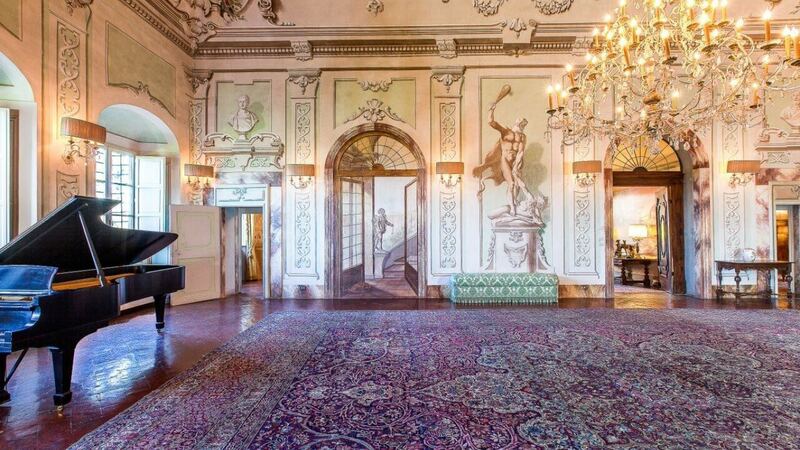 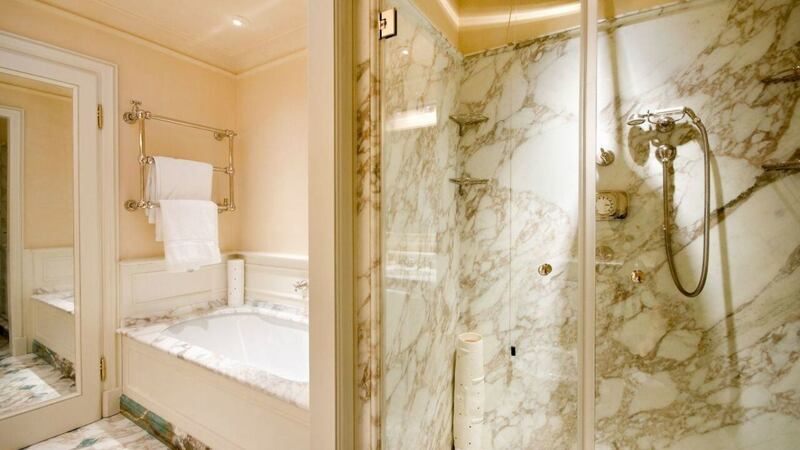 Further, on the same floor there is a mirrored bar room and a library. 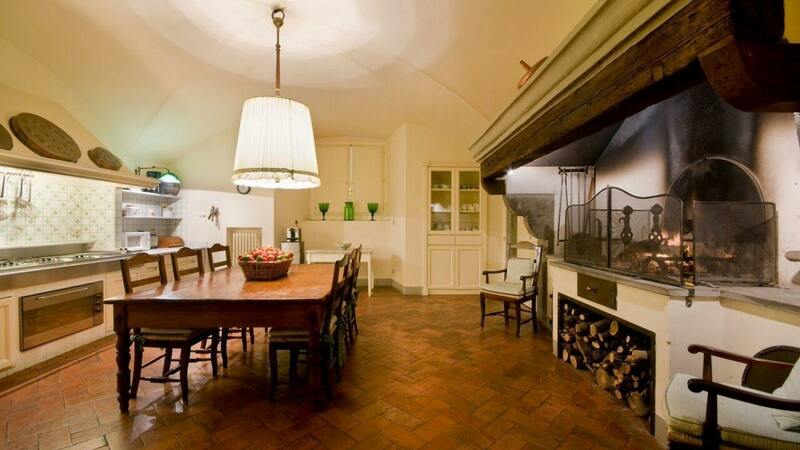 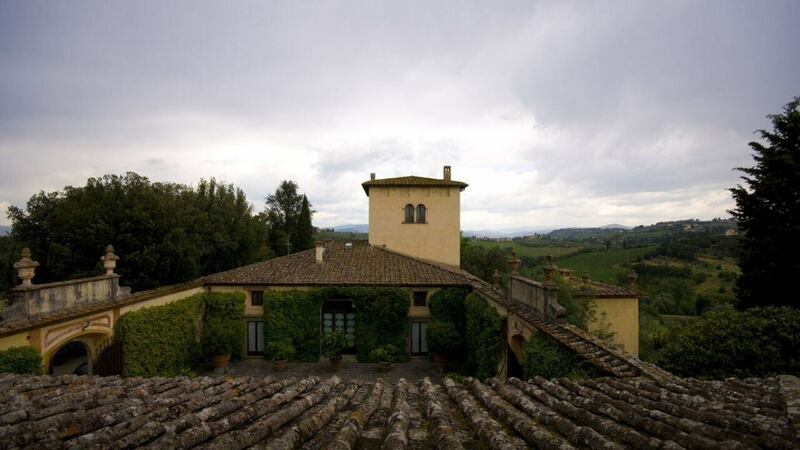 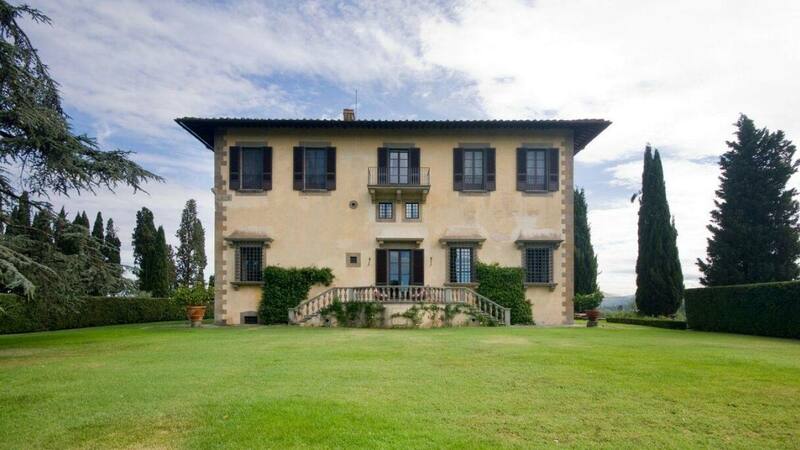 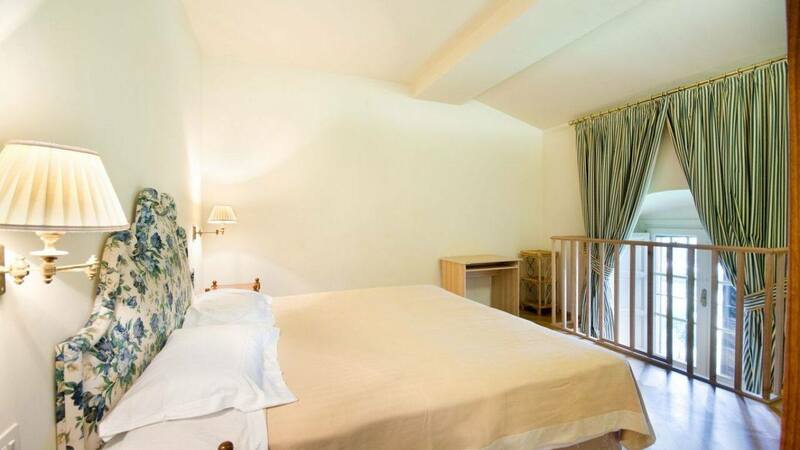 The lower floor includes the spacious open-plan kitchen that features a traditional Tuscan fireplace and a bread oven. 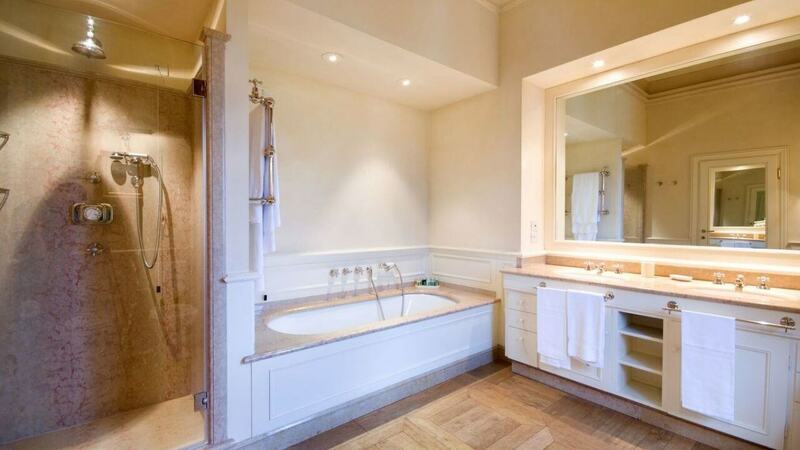 It is also fully equipped with all the modern amenities such as a dishwasher and it offers plenty of space for food storage. 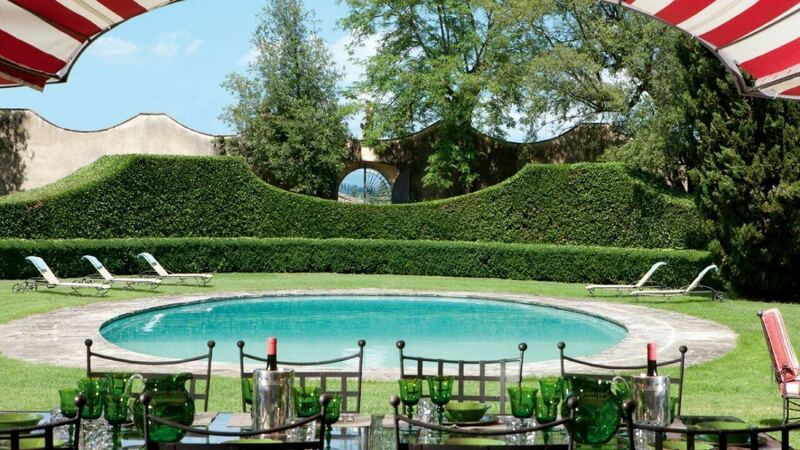 The extensive garden not only offers breathtaking landscape views, but also features an elegant oval shaped swimming pool and an adjacent covered alfresco dining area. 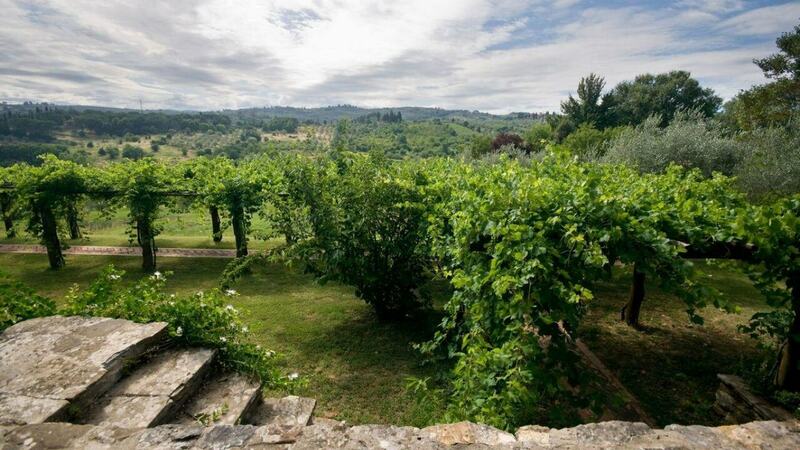 The fabulous garden provides an idyllic setting for any moment of the day, from a lovely breakfast, an afternoon tea to a magical candlelight dinner under the stars.